Minnesota Gov. Mark Dayton will undergo a follow-up surgical procedure Monday at Mayo Clinic in Rochester. That's after he had surgery on Friday at Mayo to fuse several vertebrae in his lower back. The operation was meant to improve the 71-year-old governor's leg strength and stability. A statement from the governor's office on Sunday said the first procedure was a success, but Dayton's doctor said a follow-up procedure "will further strengthen the fusion in his lower back (and) will provide more support for his vertebrae, and better ensure the long-term stability of his back and legs." Dayton will remain in the hospital for several days after the procedure, and his office said he plans to be in contact with his commissioners and staff. "I have great confidence in the outstanding medical professionals at Mayo Clinic, who have taken excellent care of me this weekend. I am following the advice of my doctor, who believes that Friday's surgery has alleviated the compression on my nerves, which will greatly-improve my leg strength and balance," Dayton said in a prepared statement. "This additional procedure will ensure my fusion heals completely. Improving both of these conditions, for the long-term, will help me enjoy playing with my grandchildren for years to come. I want to thank the many Minnesotans who have sent me their well wishes these last several days." Dayton has been hampered by health problems throughout his two terms in office. He's had three back surgeries, a procedure to repair a torn hip muscle and was treated for prostate cancer last year. 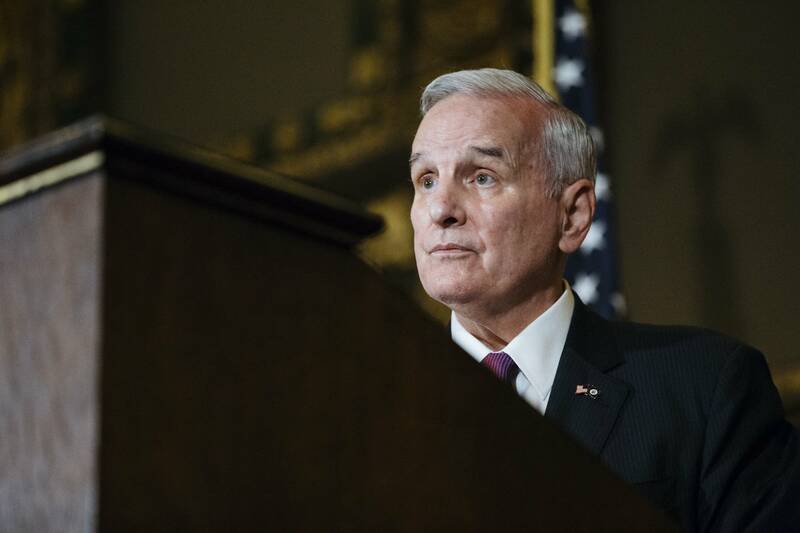 Dayton revealed his diagnosis one day after collapsing during his State of the State address. Dayton leaves office early next year.